The first heavy monsoon shower arrived with not only the intoxicating pleasant petrichor but also brought back a longing to be on the green slopes of Sahyadris with gentle breeze ruffling my hair. I love to be in open air near the cool gurgling streams, listening to chirping birds hiding behind emerald green fresh leaves or driving along the roads with swishing and swaying trees and occasional rain fed waterfalls rushing down the roadside. Though I am not a seasoned trekker (I prefer slow long walk where I don’t run out of breath) but I have bravely tagged along a few treks. Sahyadris in Western Ghats, Maharashtra have several trek trails to pick and choose depending on the difficulty level or your enthusiasm. Some of these treks happen to be along the ruins of forts of Maratha Empire that dot the hills around Pune. Located on an isolated cliff of Bhuleshwar range in Sahayadris, the fort is naturally protected owing to the steep slopes of the hill. Yet this is the fort which was conquered, lost and reconquered many times by Chhatrapati Shivaji and his forces till finally it landed in British hands in 1818. A story that is most famous in recapture of this fort in 1670 by Shivaji Maharaja’s trusted general Tanaji Malsure is that of a monitor lizard named ‘Yashwanti’. A monitor lizard sticks with its webbed feet on to the surface which prevents it from falling from vertical surfaces. Tanaji Malsure utilized this quality of Yashwanti, in scaling the Sinhgad fort from the side where enemy was least expecting. The story goes that a rope was tied to the monitor lizard and it was allowed to climb up the almost vertical hill side and fort walls. Once the monitor lizard crossed the parapet of fort ramparts, it stuck to the wall side and the entire army scaled the fort from the hanging rope. The lizard acted as an anchor. At just 35 kilometers, Sinhgad is most popular destination for picnickers in Pune. It is relatively easy trek and can be reached by road too. Small eateries sell kanda-bhaji, corn-on-cob and vada-pav. Its fun monsoon trek. Before Chhatrapati Shivaji made Raigad his capital, he ruled from Rajgad fort, earlier known as Murumdev fort. His son was born in this fort. Built on a hill called Murumbadevi dongar, 60 kilometers south-west of Pune, this fort is one of those that was retained by Shivaji while signing a treaty with Mughals. The main entrance door to this fort is named ‘Mahadarwaja’ where it is said that the head of Afzal Khan, military commander of Adil Shah was buried. Afzal khan had tried to kill Shivaji treacherously but it was he who met his end at Shivaji’s hand who had worn ‘wagh-nakh’ (tiger nails hidden in his finger rings). Clouds hang low at this fort trek during the monsoons and the entire landscape is covered in a green carpet. The trek is however a little difficult, at least for people like me. Enthusiasts however take about 40 to 50 minutes to reach at fort. The twin forts of Shriwardhan and Manaranjan at Rajmachi are strategically placed to control the historical trade route. This trek if taken from Karjat is a steep climb and a difficult one at that. Reaching Rajmachi from Lonavala is easier with almost flat trek trail. However it takes roughly three and half hours at least to cover the distance on foot. The route is not vehicle friendly. The entire landscape is dotted with small and big silvery waterfall, gurgling streams and lush forest painted in fifty shades of green! I did not even try to go on this trek as it is slightly difficult. The rain had made everything slippery and I wasn’t very enthusiastic of sliding in mud. This trek was done by the husband with his friend and they were gone all day having a boys day out! Also known as Prachandgarh, this fort located 50 kilometers south-west of Pune, is the highest hill-fort of the district. The forts of Rajgad, Sinhgad and Raigad are visible from this fort on a clear day. This was the first fort that Shivaji Maharaj captured at the age of sixteen in 1643. The scenery is captivating with the rivers in full flow but it is advisable to be extremely cautious during rainy season. Located 52 kilometers north-west of Pune, this fort with a checkered history was captured by Shivaji in 1648. For a brief time Shivaji surrendered this fort to Mughals but recaptured it in 1670. It was used to store the loot from Surat. 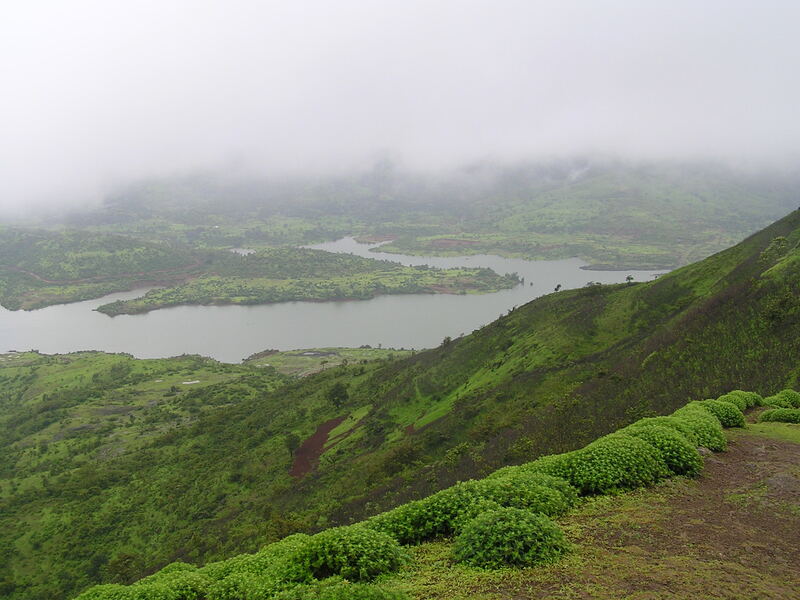 Closer to Lonavala, misty clouds descend on the fort during the rains and it becomes little difficult but then trekkers enjoy that very challenge. Bhaja-Karla caves are also near this fort. With weather already cooling down slightly, trekking will turn out to be more enjoyable this year as rain showers hit the region. 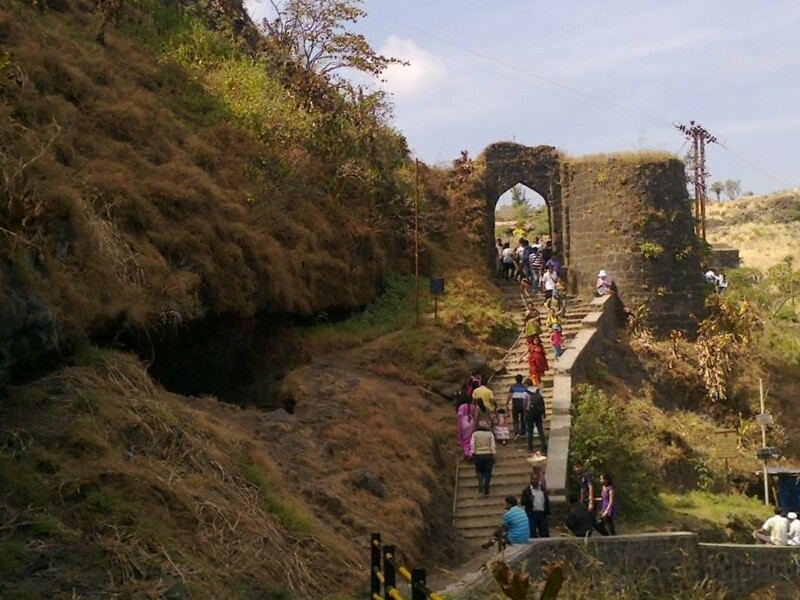 There are more fort treks besides other trails near Pune-Mumbai for the enthusiasts. Do you love trekking? So head over now ! We Mumbaikars are still waiting for rain! all are excellent places.. Rajgad is awesome! Doesn’t it becomes more difficult in rains at Mumbai? At least that is my experience. Yes all the treks come alive during monsoons. Thanks for reading. Pune is a god gifted city full of nature beauty across them.It has various mountain.Visiting the mountain in the raining season fell like reaching heaven. The images and information posted in this blog are mind blowing and astonishing. Thanks for writing these blog. Thank you Manish. Glad you liked the post. I’m yet to undertake a trek in Sahyadri hills! Your post is pushing me to go for it..soon! 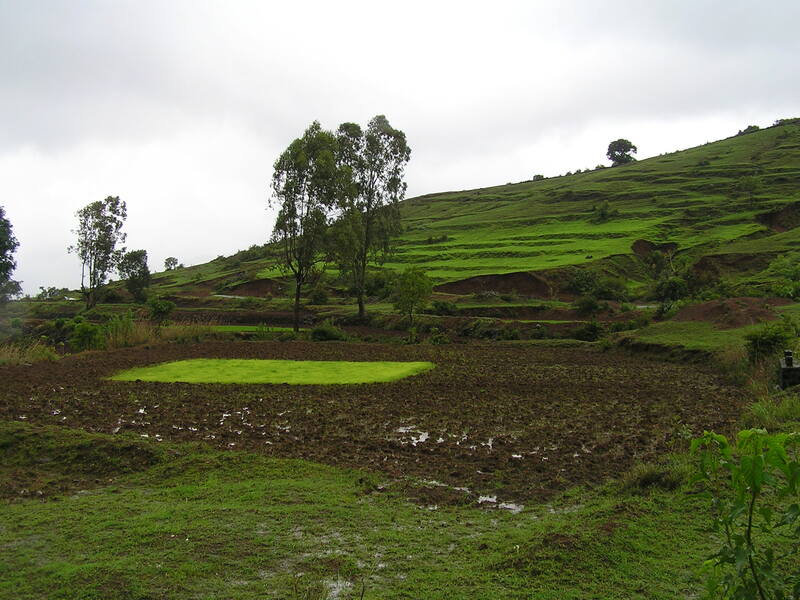 I have been to Himalayan treks & I trek in Aravalis too. Sahyadris is missing!